PLACE YOUR ALBUM ORDER NOW! The perfect gift for any Troub Fan! and we'll include our 2011 Tr(ue)bs Love album for FREE! 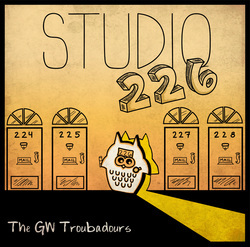 You can also pick up STUDIO 226 at the GW Bookstore!